Here are a few snaps from Sunshine Garcia and Alex Castro's maternity shoot, which was taken by Nice Print Photo. It's a boy for Alex Castro and Sunshine Garcia. 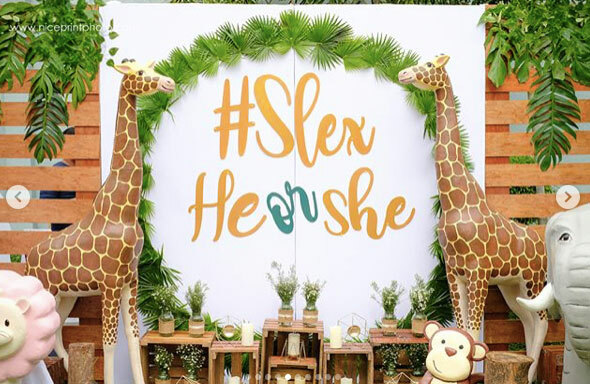 The couple held their jungle safari-themed gender reveal yesterday, August 19, at the couple's residence. 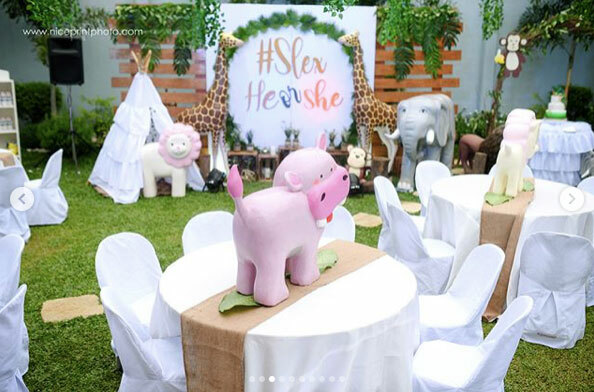 Sunshine initially wanted the affair, which doubled as a baby shower, "simple," but she was wonderstruck upon seeing the venue. On Instagram, she exclaimed, "First time ko magkaroon ng party na kagaya nito, feeling ko kahapon debut ko." The daddy-to-be echoed, "Sobrang ganda at elegante ang buong venue, ang galing ng concept..."
Meanwhile, to reveal the gender, the couple were asked to throw darts, aiming for the blue standee if it's a boy and pink standee if it's a girl. Sunshine announced, "It's a boy!" 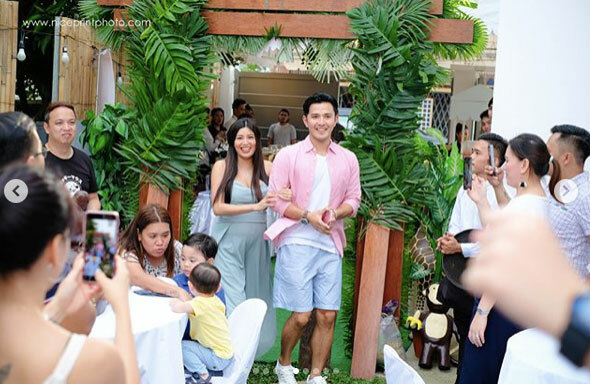 Sunshine annnounced her pregnancy on May 31, using the hashtag, "May baby bump na ako." "Pilitin mong maging kamukha si Papa mo. 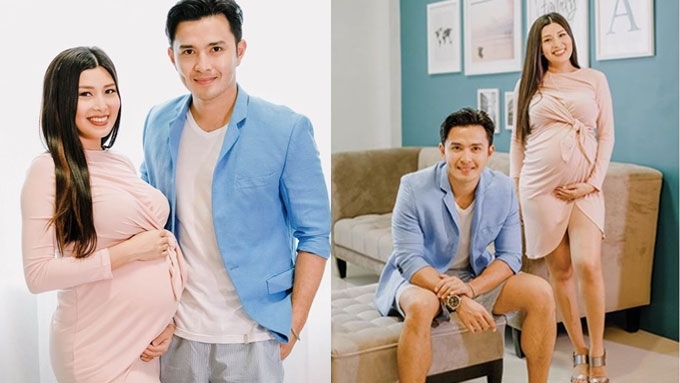 mas maganda ang face niya kesa sa akin..."
The following day, June 1, Alex posted a photo of the baby's sonogram, and wrote: "Gusto niya humabol sa wedding ayaw niya paawat kumpleto na kami sa family picture. sino kaya kamukha sa 'tin @sunshine_garcia. i Love you both"